Our jaws dropped when entering the main office of Embark in Colombo, Sri Lanka. Spacious and clean, with decorative art and nice furniture, the interior expresses both luxury and taste. If it wasn’t for the big sign at the door, we would have turned around for fear of having gotten the address wrong. But this indeed was the dog rescue we were looking for. 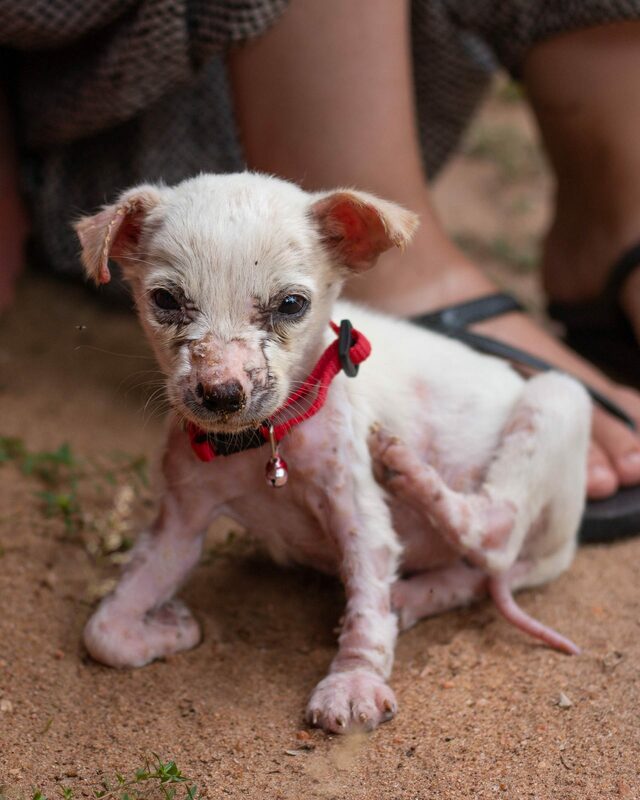 We were there because of our rescued Sri Lankan puppy, Waggy. We had found him alone in a field just one week after landing in the country. Being travellers, it was never our intention to end up with a dog. But he was in such dire conditions that we couldn’t walk away without helping him. After getting him healthy, our next step was clear: try find him a lovely forever home. That task proved to be a challenging one. Waggy, a couple of days after we found him. 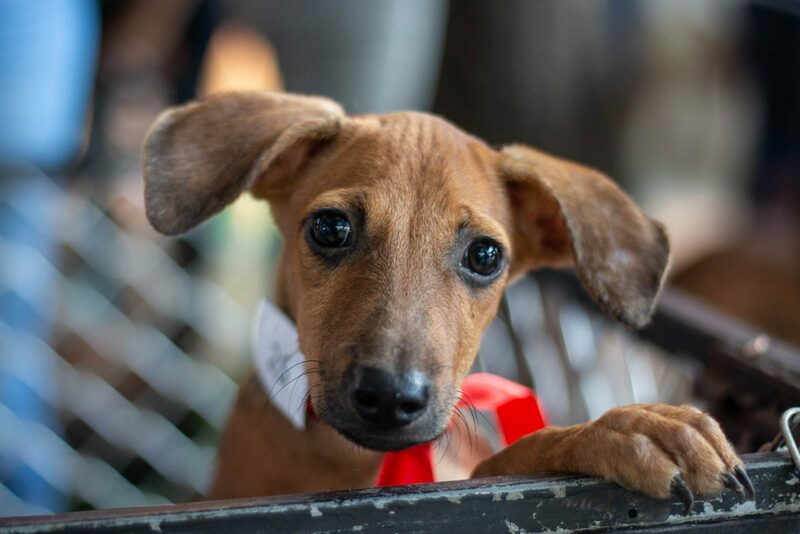 Sri Lanka has no shortage of street puppies to adopt, or animals to help for that matter. Every animal lover we talked to seemed to already have too many dogs to care for. And with time running out, we were starting to be desperate. It was time to finally check out the organisation everyone had mentioned could help us. This was a step we had been resisting. Ale has volunteered in different animals rescues before, and feared that the common issues of lack of funding and resources, would be even more pronounced in Sri Lanka. Dog rescues struggle all over the world, but specially so in countries where the well-being of street dogs doesn’t seem to be anyone’s priority. With too many animals in dire conditions, and very little awareness regarding animal welfare, rescues are constantly fighting to keep up. The intentions are good and great work is done, but most dog rescues don’t have exemplary business plans with healthy future financial strategies. It is about ‘doing what you can with what you have’. We didn’t want to add to their already difficult jobs, and we definitely were not going to leave Waggy to an unknown fate. However, Embark turned out to be completely different from what we expected. And they not only managed to find Waggy a foster home, but also got him adopted just one week later. 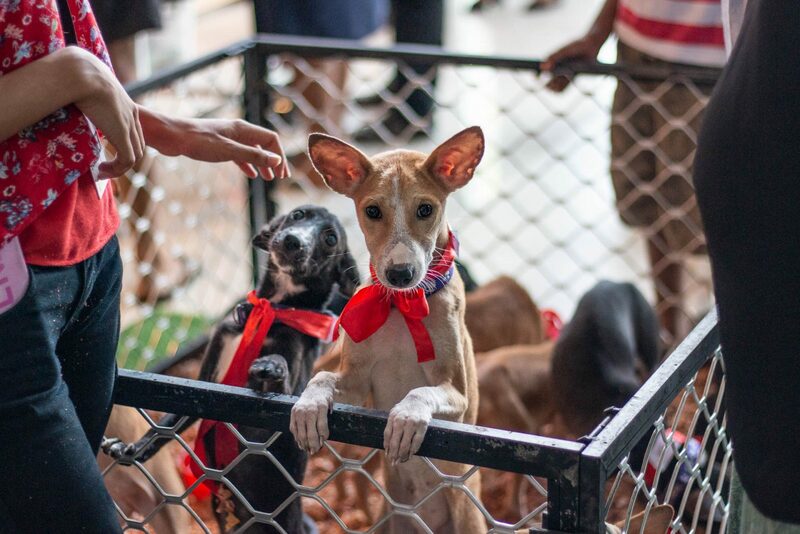 Their approach is unique and very successful, and they’re doing wonders for Sri Lankan street dogs. So we had to share their story with you! Embark’s founder is Otara Gunewardene. Having always loved animals, she studied biology in the United States. After coming back to Sri Lanka she pursued a career in the fashion industry and, in 1989, started selling surplus export garments off the back of her car. Her success led her to open her first store, Odel, soon after, which turned to 20 stores island-wide in the years to come. During this time she rescued three dogs from the streets and decided to do more. Through her fashion business venture, Otara saw an opportunity to create awareness and raise funds to help animals in need. 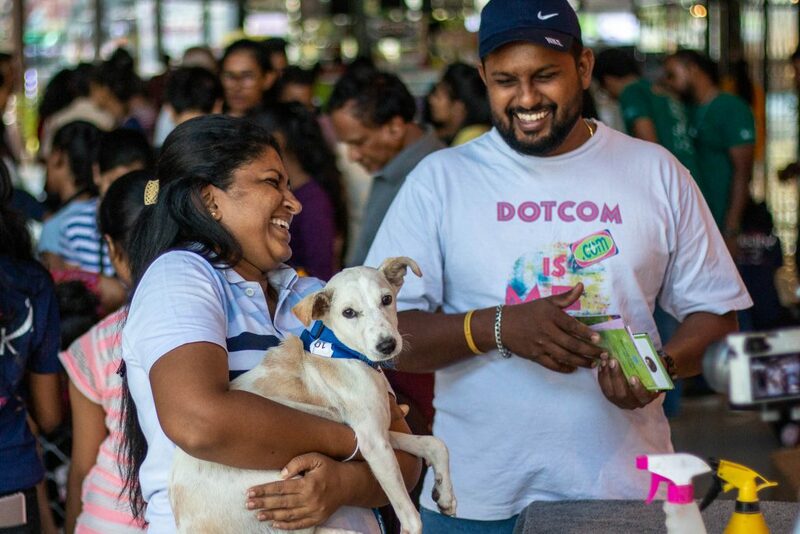 With the sales revenues of six different dedicated black and white t-shirts in her shops, she generated money to improve the welfare of street dogs in Sri Lanka. In 2007 Embark was born. In the following years Embark slowly grew its collection. A distinct range of pooch-inspired products, with bright colours and funny slogans, appealed to fashion-forward people of all ages. 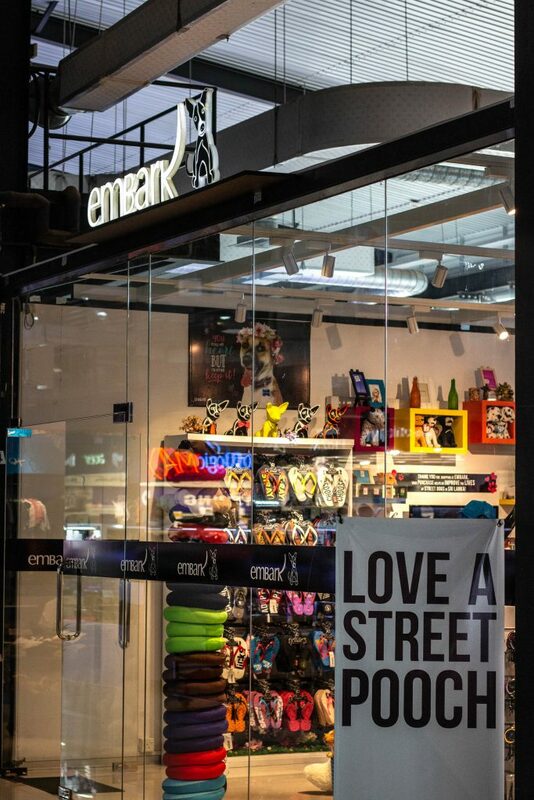 And a number of unusual initiatives managed to bring street dogs into the spotlight, whilst highlighting the brand Embark was to become. A clear example of this is when Embark joined the catwalks in 2009 with an inaugural fashion show in which street dogs were walked alongside models. Efforts like these have engaged crowds over the years, and in turn made street dogs trendy. 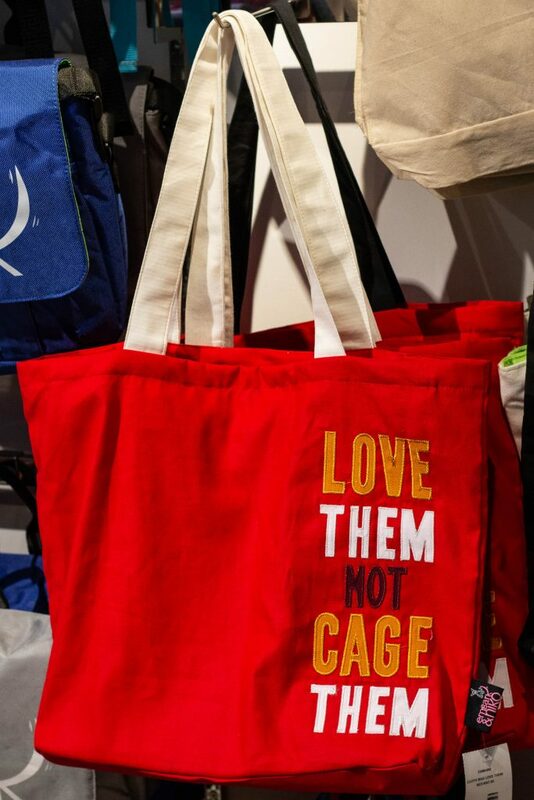 The profits of the clothes and accessories sold in the stores, have created a sustainable revenue stream that finances the different work that needs to be done, which focuses not only on rescues and adoptions, but also on vaccinations and sterilisations, and on education and campaigns, that aim for better animal policies countrywide. 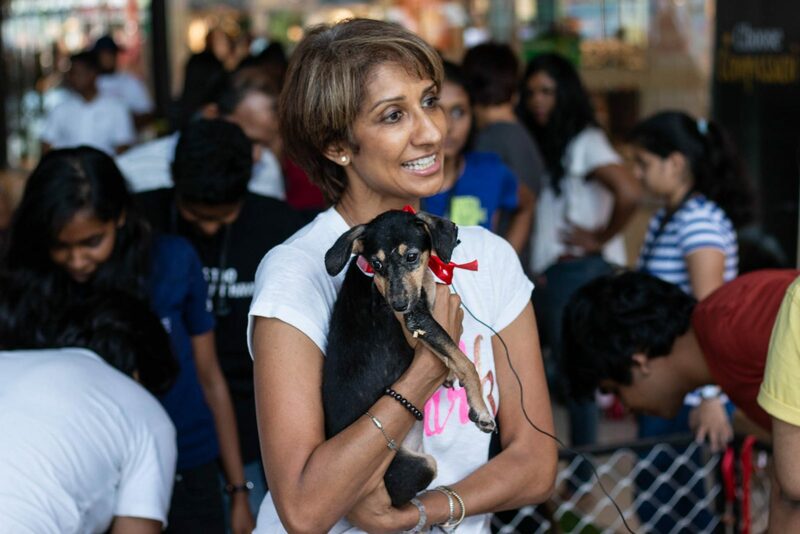 Otara has managed to apply her entrepreneurial and business skills to help the ignored and abused street dogs of Sri Lanka. Like in many places of the world, street dogs in Sri Lanka are seen as dirty and dangerous. People are afraid of touching them or even coming near, and lack of awareness leads to widespread uncompassionate behaviour. 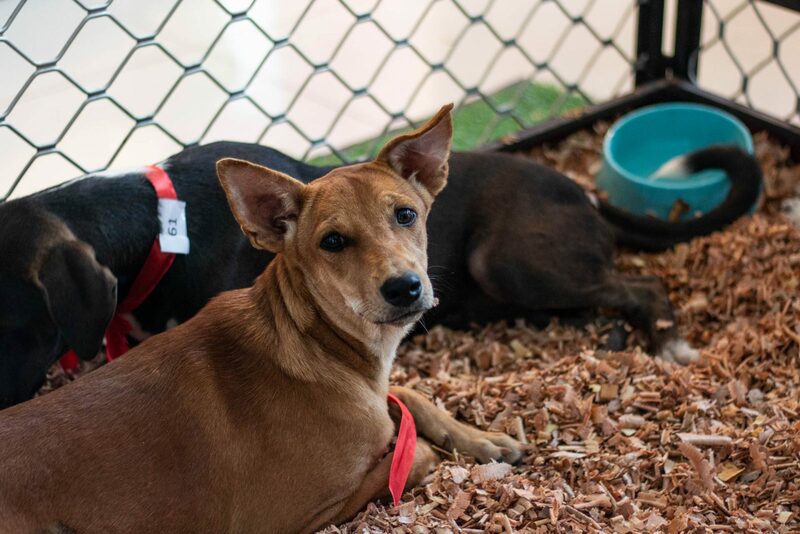 There are no governmental policies to care for or control street dogs populations. 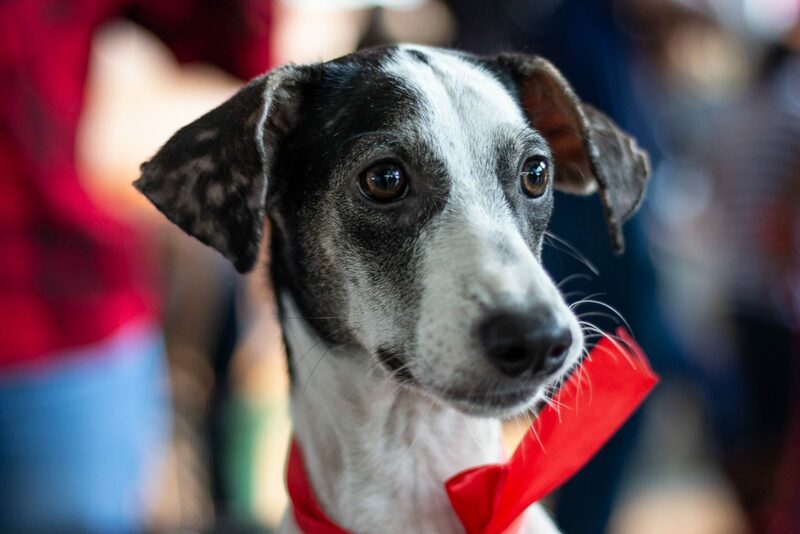 Thus, an ever-growing number of dogs roam the streets, struggling to fend for themselves, plagued by illness and injuries, with no help in sight. On the other hand, there is a high demand for pedigree dogs. Western media, tv shows and movies spark the demand of breeding programs to sell puppies for tens of thousands rupees (hundreds of euros). Leaving aside the inherent issues with breeding, this aspiration for pure-breed dogs, has meant street dogs are deemed less worthy even by those who want to have a pet. Otara saw this injustice and wanted to change things around by highlighting the qualities of street dogs. 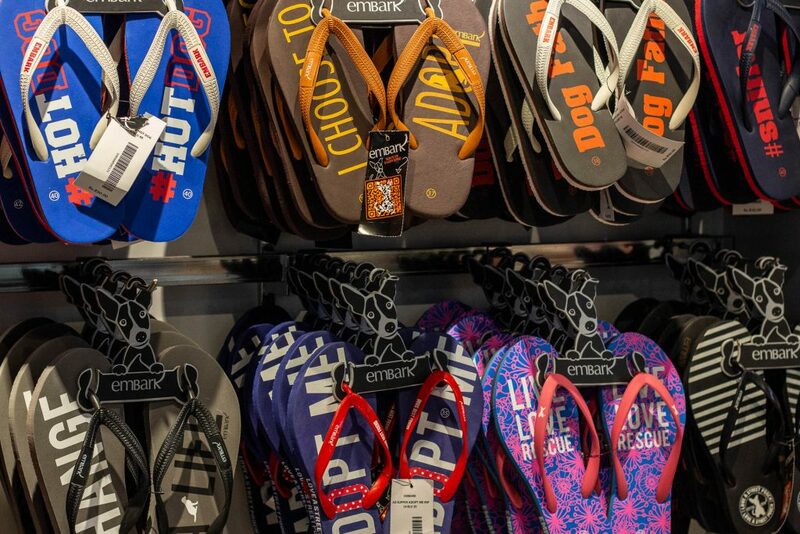 The three rescued dogs she adopted, became the face of the Embark brand, and are strongly present in the promotion of the trendy clothes and accessories. 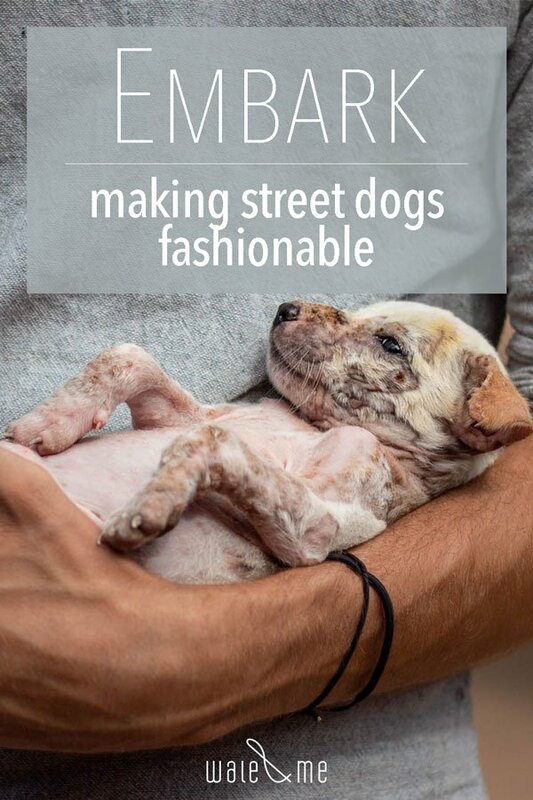 Like this, Embark tries to change the image of street dogs in Sri Lanka. The idea is that by showing the companionship and love street dogs can give, people would open their homes and take them in. It seems to be working, particularly in Colombo, and amongst the younger generation. 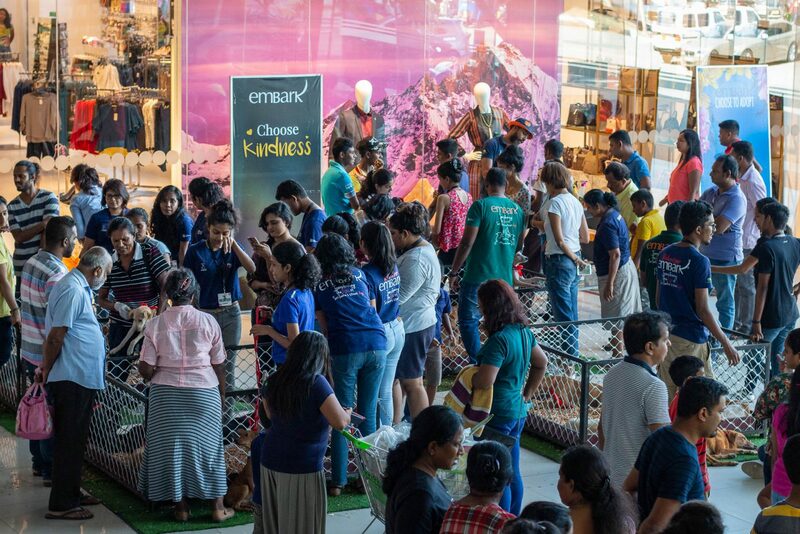 Embark now has between 400 to 500 volunteers (that is a crazy number that most rescues would just dream of), who compete to participate in the multiple adoption events organised every month (only 30 volunteers are allowed per event). And the events are equally successful in getting puppies adopted. In fact, Waggy was adopted after just 20min! It helps that Otara is a very successful and known entrepreneur who people look up to. She actively shares her message through social media, both raising awareness and trying people to get involved all over the country. And her efforts are paying off. The increasing popularity of street dogs is striking, and thousands of dogs and puppies have already found their new home. 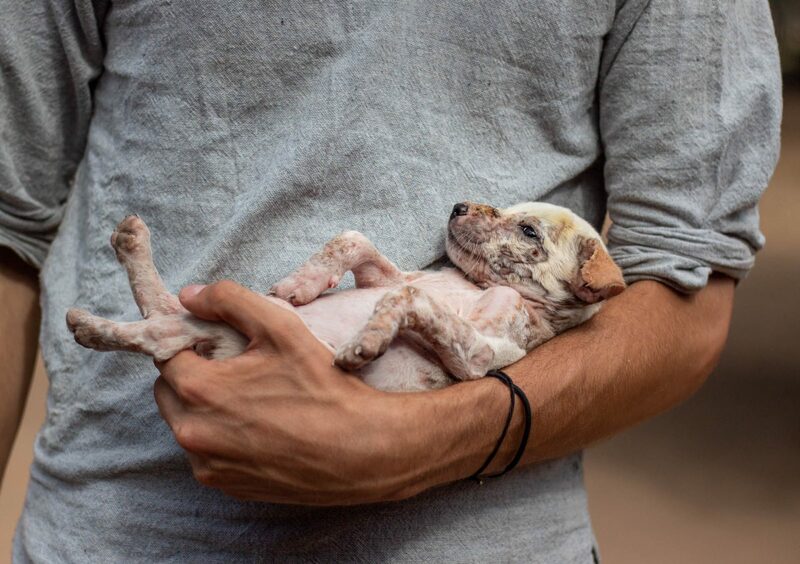 Rescue and rehoming is a major part of Embark’s work. A broad fostering network and puppy adoption days, make sure that rescued dogs don’t have to be sheltered. Once a dog is adopted, regular checkups, assistance and advice helps new owners, and guarantees that everything is okay. Older dogs from the streets are treated and medicated, with only the more serious being taken in to be hospitalised (as elsewhere, people don’t want to adopt them, and having lived on the streets their whole life, they cannot be easily re-homed). But that is not all. 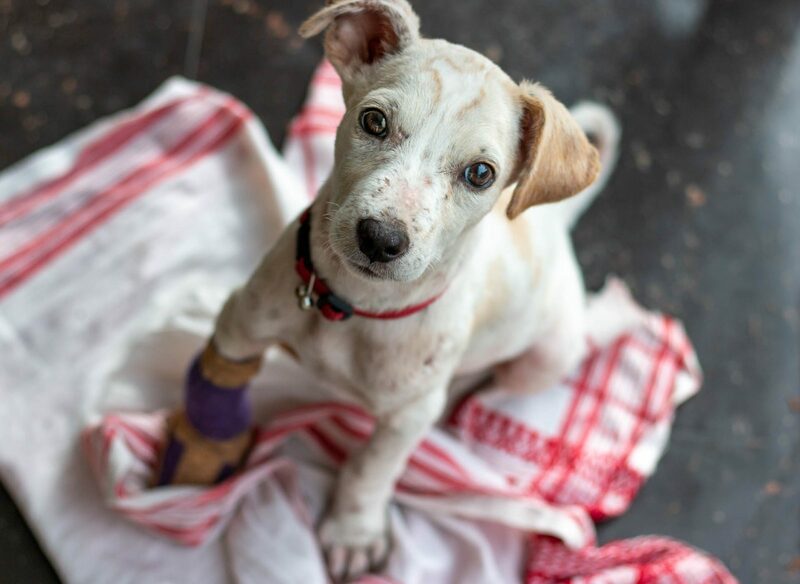 Embark has also broadened its field of work so as not to focus exclusively on rescues and adoptions. 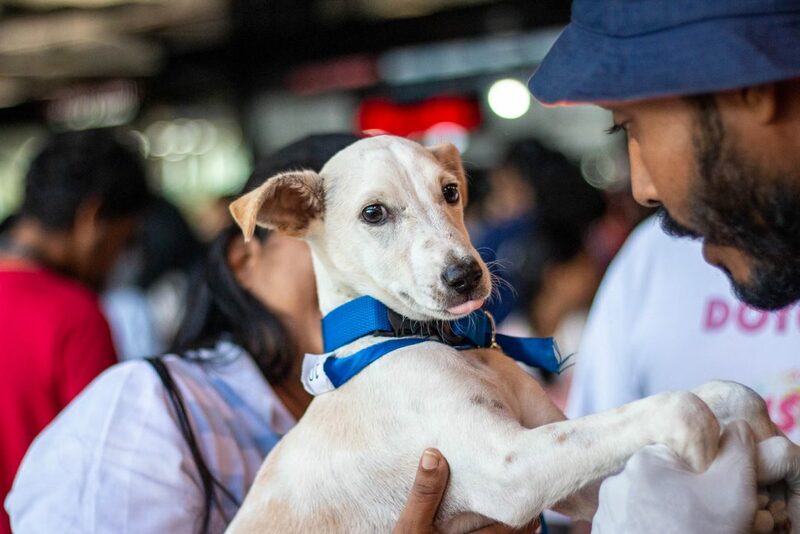 There are an estimated three million street dogs in Sri Lanka, a number that is growing without any governmental policies to control the population. Another issue is that some people consider neutering a sin and it is believed to affect fertility, so it is not common practice in Sri Lanka. People also fear rabies and there is little compassion for street dogs in general. To tackle these issues, Embark has started vaccination and sterilisation programs throughout the country. Another important aspect of Embark’s mission is their awareness programs. By visiting schools, kids are taught to interact with street dogs in a safe and compassionate way, and how to avoid rabies exposure. 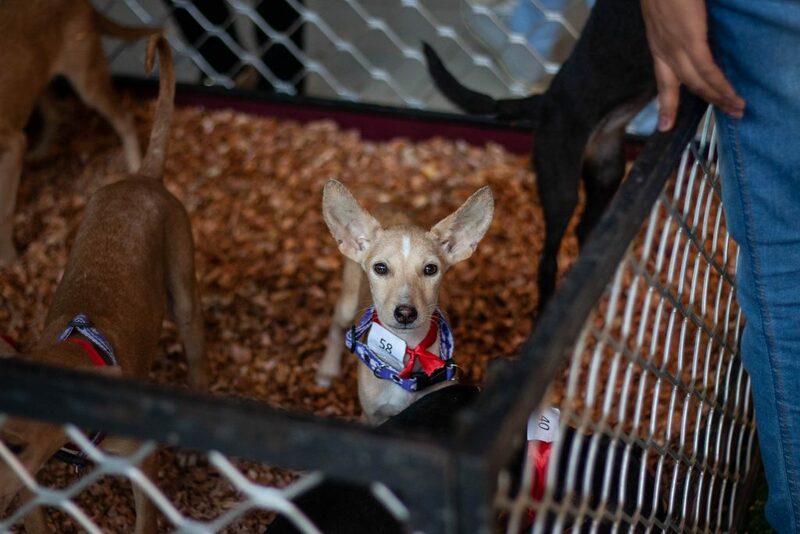 Pet owners are coached to practice responsible ownership (chaining and caging is not allowed when adopting an Embark puppy for example), and educational workshops on dog behaviour, animal rights and veterinary care for dogs aim to improve overall animal welfare. Other animal welfare organisations, even from other countries, are trained, and regular publications in the newspapers and other media outlets, bring more attention to the message that needs to be spread. By understanding peoples’ thoughts and feelings towards street dogs, and slowly changing peoples’ attitude through increased awareness and positive examples, much progress can be made. 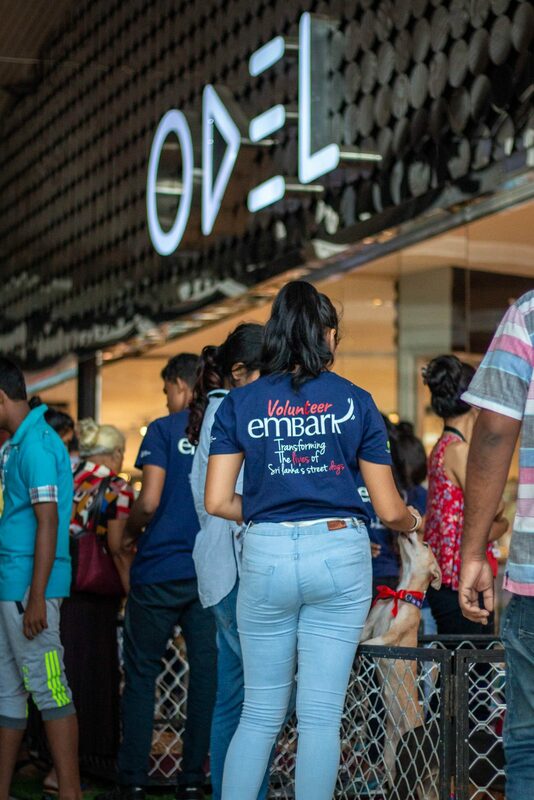 Embark has proven it is possible to change the image of unwanted street dogs in Sri Lanka and even make them fashionable. 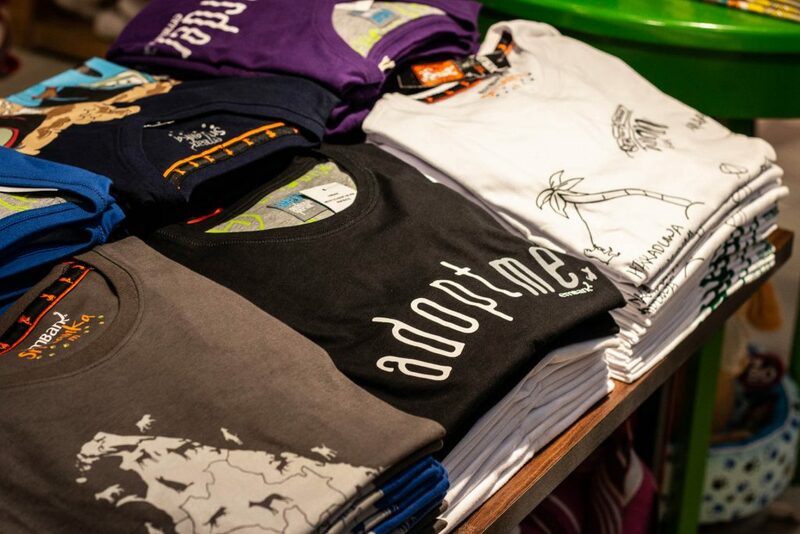 Together with a strong business plan, including a sustainable revenue through the sales of clothing and accessories, and the collaboration of an ever growing passionate group of people, this is a great example of how a dog rescue can be successfully run. 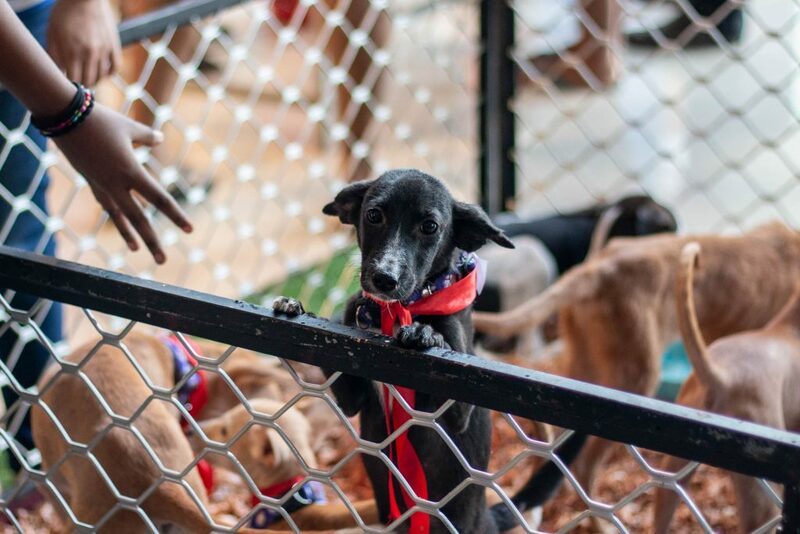 The struggle to help Sri Lankan street dogs is far from over. But it sure is encouraging to see an organisation like Embark change the minds and hearts of people. And we’ll eternally be grateful to them for finding our dear Waggy a forever home. Qué interesante! Hacer que tener un perro callejero se ponga de moda + programas de sensibilización en colegios + … han desarrollado un proyecto exitoso en muchos aspectos! Una iniciativa genial! Gracias!